Just received the proxy voting form for the 2019 AGM. British Orienteering want to raise the adult affiliation fee by 27%, from £11 to £15 in January 2020. Sorry BOF, but that doesn't work for me. I'm a recreational orienteer. I don't compete in championship events. So I'm not eligible for the Badge Scheme. When I do compete, I can barely manage a Light Green course. As an adult, that doesn't get me ranking points, so I'm not eligible for the Ranking List. Unless there's a plague of biblical proportion, I won't be getting a GB callup any time soon. i can do without the range of discounts from partner organisations, none of which I have ever used. I have sufficient Public Liability Insurance through my employers and my personal insurers to cover me in the event of a claim for damages against me, through my negligence. So what DO I do to benefit orienteering? I plan and organise four to six local events every year, which bring in several hundred newcomers to the sport. I help out with control placing and collection, entries, results and publicity for my club. What does British Orienteering give me for that? Hee-haw! Sorry BOF, but if your funding model is to milk every penny from the grassroots to fund the top end, then you've lost me as a member. Do not poke the badger, particularly with a spoon. What a disappointing view - developing the sport, attracting new members, improving standards (maps, electronic punching, new types of O, all these take funding as does the pursuit of excellence by the elite. To complain about a cost rise of £5 per year (ca 10p per week) is utterly selfish and reprehensible for a thinking adult. 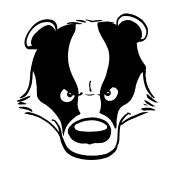 Auld Badger wrote: Sorry BOF, but if your funding model is to milk every penny from the grassroots to fund the top end, then you've lost me as a member. The bigger issue for me is the dam this builds in the barely moist ditch of newcomer recruitment. Once club affiliation fees are added on, this makes casual orienteering an expensive proposition. Some say it remains cheap in comparison to alternatives, usually supporting that argument with the sort of one off or all day type events that are qualitatively different to a half hour run around a wood. Which is what a newcomer is generally offered- something I find is generally forgotten by those embedded in the sport. It's ironic that BOF are supposedly celebrating volunteers at the moment, but instead are demanding not just more of their time but also more of their money. In the meantime, anything meaningful to develop the sport is being done at club level. And whilst I appreciate Big Jon's contrary view, I think the tone neatly encapsulates the self-defeating spiral that orienteering appears to be in. Dismissing legitimate concerns of the hobbyist is all well and good, just so long as the pool of 'elites' is big enough to deliver what you seem to want once the rest of us have got fed up with being ignored and leave you to your own devices to pleasure yourself in whatever way you see fit. Auld Badger wrote: When I do compete, I can barely manage a Light Green course. As an adult, that doesn't get me ranking points, so I'm not eligible for the Ranking List. Technically not, but in practice it is. Unless I am very much mistaken (and I may well be), there needs to be a certain number of adult runners on a course for it to qualify for ranking points. Most events won't reach that threshold. Certainly, I've never been awarded ranking points when I've run a Light Green. There needs to be 8 "non-outliers", who are 2nd year W/M16 up and have a previous ranking score. This does leave many light greens unranked (along with some black and v short green courses) - that's not the same as not being eligible. Auld Badger doesn't explain why s/he only does light green - but there are plenty of shorter/easier terrain events that are ranked. Technically £11 to £15 is a 36% increase not 27%. It’s still only £4 per year though. What perplexes me is that it seems one year we are given the hard sell that a strategy of reducing membership fees and compensating for this by increasing levies is absolutely the right thing to do, then a couple of years later the opposite seems to be the best thing since sliced bread. I haven't read the proxy details yet. I wonder what the levy proposal is ? I don't care about a 4 quid rise in the membership fee. I pay more that that a month to go play tennis. What I do care about is that I've orienteered 5 times in the first quarter of the year for a grand total of around 5 hours. During that period I've already spent around 25 hours (not including travelling) helping at my club event, helping at coaching and planning another event. I'm actually OK with that if I get the rest of the year off to enjoy my sport - but I don't. I've another small event to organise/plan in May, I'll need to help all day at a day in the 6 day and I've another event to organise later in the year. I've already turned down 2 requests to control an event and another to plan an event. I work full time. Orienteering stuff is the main stress in my life. I should be enjoying my orienteering but I'm not. I totally revere guys like Big Jon and Terry who live orienteering. I just don't seem to have the time. I think you'll find I do more work with beginners and non-elite orienteers than with elite, always have fo the past 20 years and always will in the future. I regard the beginners and developers as the most critical part of the sport, however to attract juniors you need some sort of progression pathway for them (and their parents) to see if they are to commit to the sport - and, yes, become the future champions... but also the future coaches, planners, organisers, controllers and club committee members for when you and I are in our dotage. £15 is exactly the same as England Athletics charges - and the benefits (as listed on their website) are very similar as well: £2 off race entries, discounts at a few places, and eligibility for various things that mainly appeal to the faster athletes. Nevertheless, it is rather a big increase in one go. Does BOF actually want casual orienteers to join? This is undermining by stealth the deliberate policy we adopted democratically a few years ago at the AGM. After years of attempting to persuade people to join on value-for-money terms (mainly by insisting that clubs impose a much resented surcharge on non-members) we decided to adopt a pay-as-you-go model, with a nominal membership fee but increased levies on events - the more often you participate the more you contribute to the national federation. The membership fee was reduced to £5 - so it is actually a £300% increase over a few years. OK some didn't approve and some clubs resent coughing up the levy - but that was what we decided . And if we are going to change policy there should be a proper AGM motion on the strategy. Not just raising the fees year-by-year salami style and hoping we don't notice the difference - the way insurance companies crank up your car insurance a little bit each year unless you shop around for a quote. And if the fee is to increase then we need to bring back family membership. It is not about the people here. If you are sufficiently committed to orienteering to bother reading or contributing to this forum then you won't bother about an extra few quid a year. But, if you are trying to recruit a family who may have shown up at a few of your local events as new members, them paying £7 for the family to join your club is a much easier sell than over £50 to join as individual club and national members. I couldn't find within the documents the justification for this rise, which isn't a good start. I did read that 'not for profit' British Orienteering has 500k in the bank and made a 5 figure profit the last two years, so I'd expect there are some good plans for the money from the increase? Can only echo some of the comments above, so consider me 'utterly selfish and reprehensible'! I probably did 35-40 events last year, so I am giving British Orienteering around £65 a year. I consider that a lot of money for not very much, insurance notwithstanding. I don't see any centrally led attraction of new members, or development of the sport in my local area. My club (has to) leads the way, in some cases at cost and to the detriment of the core membership. Progression of maps - Open O map is useful, but what else? Technology? Well the website looks nice. Meanwhile for the active membership we get impossible advice about mixed punching, and the mystery decision that the Mixed Sprint Relay in Bradford can't be an official championship. I do see how the performance and elite programme fits in and fully support this. Like others have said, the demands on the volunteers are ever more - safety courses, risk assessments, safeguarding assessments, added requirements to record non members details, there seems to be something new every year. There is too much emphasis on junior development and not enough on recruiting adults, but that's probably another thread entirely. Based on my experiences, if my club had the money, we would make far better use of it. So yes, a £4 increase was a surprise and overall, doesn't sit well with me. I would hope that if Auld Badger knew a little more about British Orienteering and the so called ‘top end’ then he/she would be more supportive of the need for funding. BOF wasn't set up for the direct benefit of its members - it was set up to develop the sport as a whole in all the ways that Big Jon mentions and many more, and the coaching structures at club, regional and national levels aren’t simply there to benefit the ‘top end’ they help to drive the sport forwards for the benefit of all. Whilst I agree with Big Jon that its disappointing if members start to focus purely on what’s in it for them, clearly Auld Badger is keen to put something back into the sport through their planning and organising efforts, but without some sort of central organisation I think the sport will start to regress and eventually die and the efforts of the many volunteers will be in vain. I’ve been critical of British Orienteering’s staff and board over the past decade – I think there’s been an unhealthy relationship with Sport England which has done little to benefit the sport - it’s somewhat ironic that Auld Badger associates the ‘top end’ with British Orienteering when many involved with the ‘top end’ have felt as alienated as the membership as a whole. Things are changing though and I think the new regime deserves a chance to prove themselves. The biggest challenge is to make us all feel part of British Orienteering again. Auld Badger and Big Jon seem to want the same thing - to see the sport thrive, and survive and I’m sure they will both be more effective with the support of British Orienteering. British Orienteering received a bucket load of Sport England money, most of it wasted in my opinion, but one of the damaging aspects was that it enabled them to keep affiliation and event fees artificially low and we’ve adjusted our expectations accordingly. OK at the time but not sustainable when the money runs out. Relative to other sports the cost of orienteering is low and an increase of £4 in membership is insignificant and unlikely in itself to put off Auld Badger or the newcomers he/she hopes to attract, but until we all understand that we’re all on the same side, members will continue to resent fee increases. Much of the resentment seems to be towards the way the increase has been presented so clearly the new regime needs to do better, but in principle I hope we can support them moving forwards. Len wrote: I couldn't find within the documents the justification for this rise, which isn't a good start. As it says, this increase is primarily about getting British Orienteering into a position where we are no longer dependent on money from funding bodies - and, equally, are no longer constrained by the requirements of funding bodies in how we spend it. Len is right to identify that British Orienteering currently has very healthy financial reserves. A lot of this money is ringfenced as reserves to allow British Orienteering to weather a short-term cessation of income - such as a foot-and-mouth outbreak resulting in no levy for several months - or, in a worst-case scenario, to meet its legal obligations in making redundancy payments to staff, buying ourselves out of the tenancy on the national office building etc. However, we do indeed hold some excess reserves over what is required under the reserves policy. We could choose to have lower membership fees and/or levies for a few years, and set loss-making business-as-usual budgets until the reserves have reduced down to the minimum required level. However, the Board's preference is to aim for balanced business-as-usual budgets, and instead to invest this surplus cash in a number of projects and initiatives over the next couple of years with the aim of benefiting the sport in the long term. The Board of Directors are proposing an increase in the senior membership fee from 1st January 2020. This increase supports British Orienteering’s strategic aim of operating on a financially sustainable basis, independent of grants from funding bodies, by 2021. The income generated from membership fees is invested in key areas to support and grow the sport. Although British Orienteering currently has very healthy financial reserves, the Board intend to invest funds from excess reserves to support a range of projects, including additional support to the JK and British Championships, implementing the outcomes of reviews into the Talent and Performance Pathway and the national competition structure, and as seed funding to grow British Orienteering’s commercial income from such as Xplorer and Teaching Orienteering. The Board are also proposing an increase in club affiliation fees to cover the cost of providing employers’ liability insurance for clubs. No changes to the junior membership fee or to the event levy are proposed. Although the Board are not proposing any wider changes to the structure of the membership and levy arrangements at this time, we recognise that in future years a more comprehensive review may be required in order to support British Orienteering’s strategic ambitions for the Talent & Performance Pathway, competition support, coaching and development. Last edited by Scott on Sun Mar 24, 2019 1:34 am, edited 1 time in total.